I had the opportunity to attend a free screening of the soon to be released movie; POMPEII last evening – and in 3D at that. As I scanned the cast list on my trusted IMDb App I was somewhat underwhelmed. However, one name stuck out to me. Kiefer Sutherland is cast as the villain in this on-screen picture. Yes that’s right – the villiain. It was difficult for me to rationalize initially since I am a huge fan of his on “24” and the compassionate nature of his character on “Touch”. But it is what is and that is acting. Did Sutherland perform brilliantly as a villain in this movie? Well, you be the judge. I do recommend going to see this film when it opens on February 21st. On a scale of 1 to 10, POMPEII gets an 8. The entire cast did their part to make the film enjoyable to watch overall. 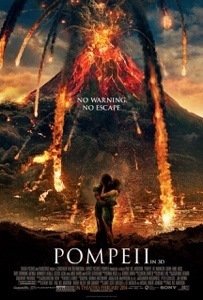 For more information about POMPEII click HERE.